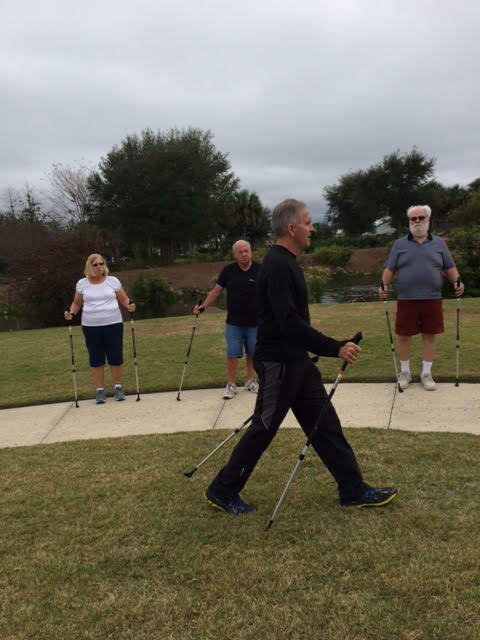 The Villages, Florida – ibodyWALK is excited to announce the prelaunch to continue with free training sessions that introduce ibodyWALK to the residents’ and promises to “Takes Your Walking to the Next Level”. In early 2014 the need to reintroduce Pole Walking to the U.S. with a name that made visual sense has led Terry D Kennedy the Founder to the ibodyWALK branding. 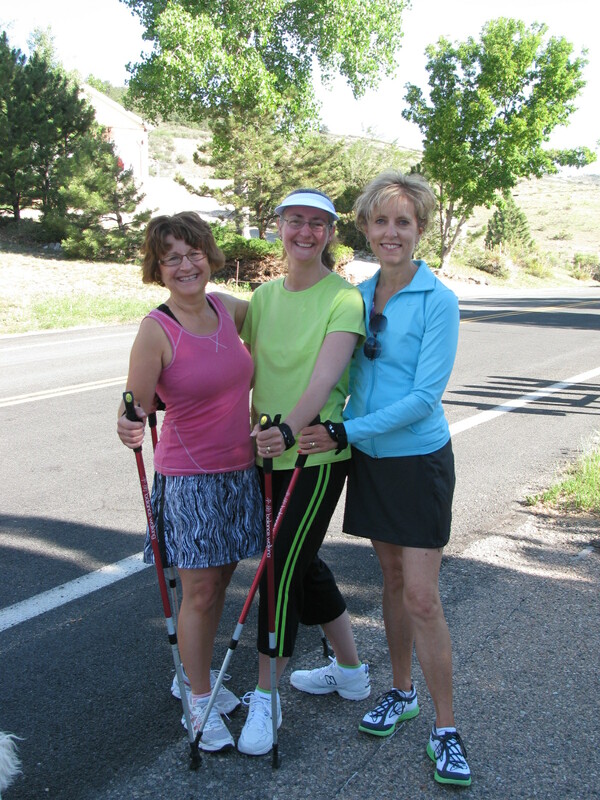 Think about Walking with the addition of easy to use equipment (a set of walking poles and the strength/stretch cords that retract for storage in to the poles or a fanny pack), and the programming that will cover specific participant technical needs, whether that be for improving ones health, fitness or sports. Until now there has been limited public awareness and participation in the U.S. for pole walking which he determined needed several evidence-based initiatives to succeed. Kennedy of IbodyWALK had previously invested several years with the Foot Solutions franchise which sold the Balance Walking pole brand. During this time he successfully led the Pole Walking Prevention Magazine Publisher study, by recruiting, educating and introducing virtual coaching in an eight week study resulting in the sale of 1000s of walking poles. 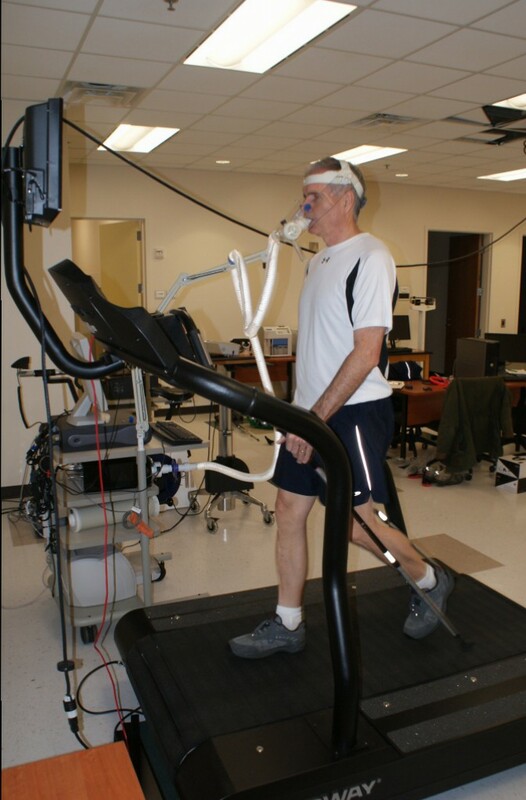 At the same time he initiated an independent research study at Kennesaw State University / Balance Walking Increases the Physiological Responses to Walking. 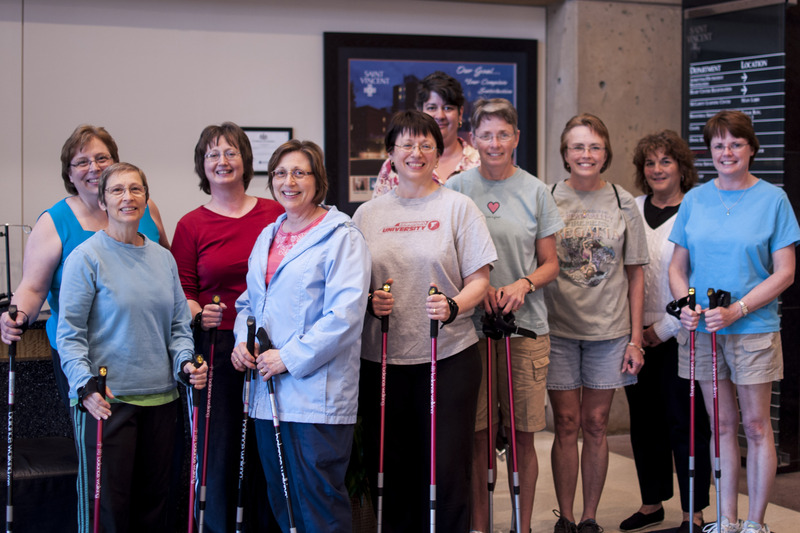 This research was published as it concluded key benefits; one of which was, that with the addition of walking poles, higher levels of conditioning over regular walking at same pace will be an outcome. These initiatives; and the walking pole partnership with Gymstick (located in Finland), and the patented pole design, will further ibodyWALKs’ Pole and Program success. The journey and free introduction of Pole Walking to the residents’ in The Villages, under the brand Balance Walking began at the end of January thru May 2013 and grew from 30 to 500 residents walking with poles. That growth can be attributed to The Villages Recreation Department announcements and articles in The Villages Daily Sun Newspaper. To direct others in meeting other walkers Terry created the Walking Neighbor Directory. That has led to many groups, one of which was named the “Wacky Walkers”. To date the growing interest in health and fitness has made ibodyWALK a natural fit to meet demand for the wellness walking trend. He believes all that keeps the body in motion throughout ones day is paramount “Take Your Walking to the Next Level” with ibodyWALK. 100s have shared comments like these; using the poles and cords has improved my endurance, feels less strenuous than other cardio workouts, I feel more muscles working comfortably harder and, therefore, burn more calories, the poles absorb shock to my feet, knees, hips and back. It’s EASY!! 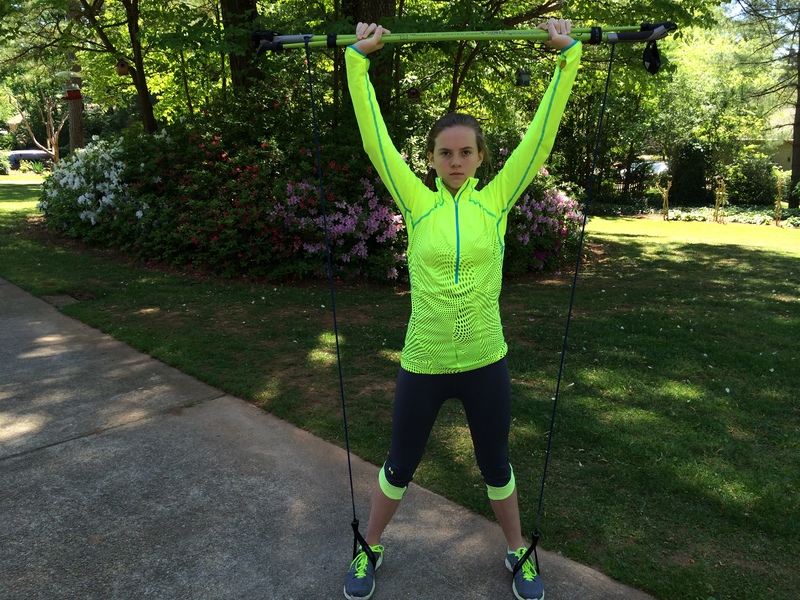 Fitness Poles + Freehand + Stretch-cord Exercises designed for 8 to 80 plus.